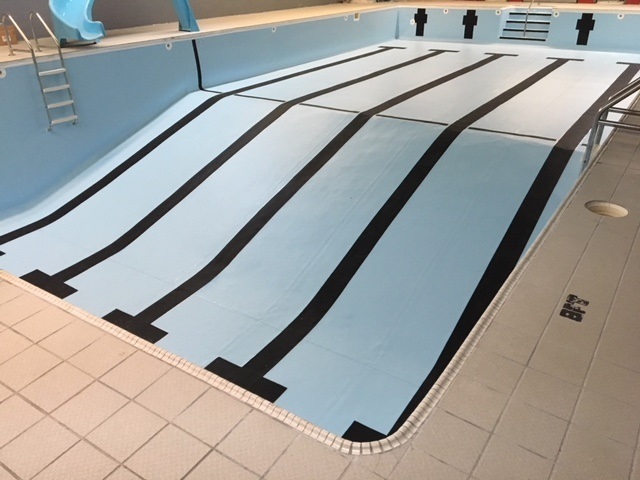 Thanks to a partnership between the IGA and the St. Anthony Recreation Advisory Committee, a new pool liner was installed at the St Anthony Olympia Pool. This pool is vitally important for the recreation, health, and well being of the residents of St. Anthony and the surrounding areas. It is regularly used for swimming lessons, exercise classes and recreation, as well as by seniors and chronic pain groups. The old liner was cracking and peeling, making it dangerous to users who were suffering from cuts and scratches, as well as battling paint and fiberglass chips found floating in the pool. Being a small town, running an older seasonal pool is a challenge. Frequent upgrades and replacement parts are expensive. The $50,000 contribution from the IGA meant that the Committee was able to achieve their goal. The pool now looks spectacular. It is a much safer, cleaner and healthier environment for the users. Maintenance and supplies cost should reduce too – the new liner will lead to less heat loss, in particular. A huge increase in users is expected when the pool re-opens in June.